How does it feel to have dandruff on your scalp for too long without any betterment? If you are a victim of it, you will know the seriousness of the question. If you do not have dandruff, you can happily leave this page after finding out what cautions to take to avoid dandruff in future. 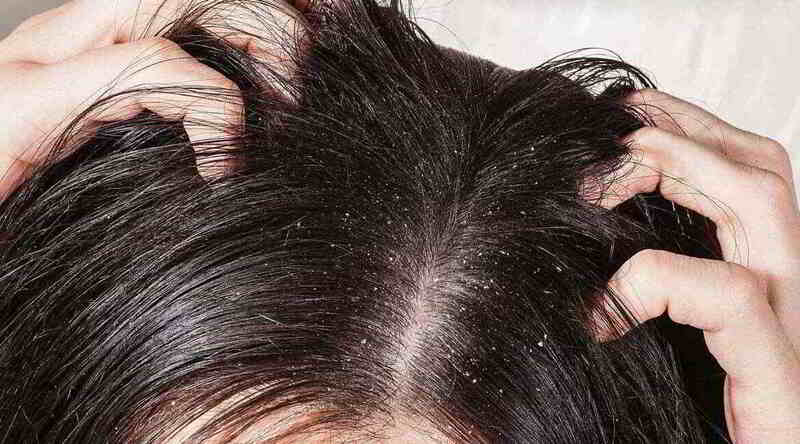 There are many obvious ways that dandruff may attack your hair. Although many scientific studies say there is no exact cause that can be stated under causes of dandruff, by focusing on few factors we can get rid of dandruff with great precision in results. This proves the reasons behind dandruff are found by general observation but not due to an unknown reason. ‘Dandruff’ is the result of fallen over dead skin particles from the scalp. It can be caused either due to a dry skin or an oily skin, just the hygiene matters. Treating dandruff involves natural medications with herbs. We can get rid of dandruff with home remedies. They hold a great success rate. The knowledge of what causes dandruff gives absolute solutions to the whole problem. Absolute home remedies for dandruff can be sought by finding what causes dandruff primarily. 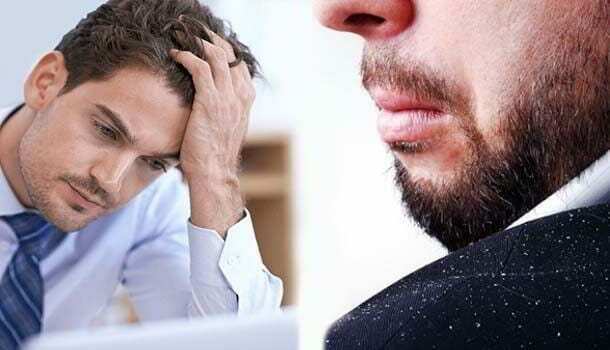 Let us explore the details of dandruff root causes and few useful tips to avoid it. Dry skin is one of the popular causes of dandruff. Dandruff is actually the dry skin that falls out of the scalp. When we do not cleanse it off from the hair regularly, it may get accumulated in there leading to increasing of dandruff. Dry skin is caused due to the poor nourishment of the skin. Skin everywhere in the body needs to be well-moisturised in order to retain its elasticity. When the hair’s skin, i.e. scalp doesn’t get good moisture, it also loses its life. There happens the rapid generation of dead cells. Skin upon excessive drying becomes flaky which develops dandruff in large amounts. How to get Dandruff Treatment with Dry Skin? If you have a dry skin, no dandruff shampoo will work for a permanent solution. The fact that skin and hair need some moisture should not be ignored. Just keep moisturizing your hair frequently. Use herbal dandruff shampoos, powders to cleanse the hair. Also, clean your scalp with water and herbal conditioners once in every couple of days. It will help the hair and scalp to be hygienic and fresh. There is no other alternative than cleaning your hair and moisturising it frequently with safe ingredients if you have an indigenous dry scalp. Having a well-nourished skin with reasonable amounts of moisture(wetness with oils) is all that you need to avoid dandruff. But, if you have got an oily type skin, there’s a counter-threat. Excessive oil in the scalp increases the amount of sebum which results in inflammation. This also leads to itching and thus gradual excretion of the skin layer. This would turn out to become dandruff in the long run. More serious thing is that oily skin has a high tendency of retaining dandruff on the scalp. Once attacked, oily skin doesn’t get rid of dandruff that easily. It is due to the sickness of the scalp caused due to oiliness which is there from the beginning. How to Treat Dandruff with an Oily skin? Reducing oiliness is not a precise solution in this case. Oiliness is the most significant feature of the skin, especially scalp. We can get rid of it completely, and its removal will make the skin dry which again promotes dandruff in the other way. Just controlling the excess sebum secreted in the scalp will do the job of preventing dandruff. Combing is not for style alone. It clears the dead cells from hair strands which is a gradual, natural treatment for dandruff. Combing is a primary activity that comes with the maintenance of hair so as to reduce dandruff if you already have, just brush your hair daily with a clean comb. Dry skin type is more affected in this case, i.e. poor combing of the hair. If you have a dry scalp, you must not ignore combing and cleansing of the hair regularly. Regular shampooing will help you get rid of dandruff if you are using a healthy, safe, and a mild comb. Poor shampooing will reduce the hygiene of the hair and scalp. These two aspects of hair maintenance, combing and shampooing are quite distinct in their effect on hair and generation of dandruff. With the failure of both combing and shampooing, we tend to increase the sensitivity of the hair towards free air exposure. We also lose the immunity of skin without shampooing/washing the hair. Oily skins need shampoo to regulate the hair condition. Using a dandruff shampoo, we can clear the sebum in the scalp which is a great counter to what causes dandruff due to unhygienic conditions. Our skin needs continuous nourishment and at the same time, it also loses a minute part of it all the time. These simultaneous processes have to be coordinated well to maintain healthy skin. When the generation of skin happens but the dead skin cells are not cleaned off well from the scalp, dandruff gets great tendency to develop. The dead cells get detached from the scalp and it stays in the hair for so long due to not cleaning the hair and scalp frequently. And if you are that person who continuously gets exposed to streets of the city, there’s no way for you to escape from dandruff’s attack. 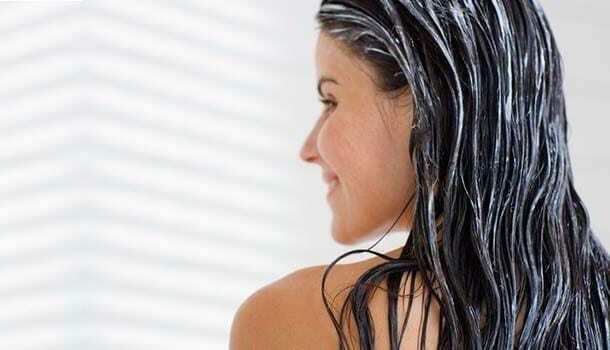 You must cleanse your hair with shampoos daily if you put your head daily in pollution. Regular cleansing just means that you shall have to look after your hair and scalp condition all the time. Without giving much care to it, one cannot even think about dandruff treatment as the whole thing starts with what causes dandruff. Once you have developed unhygienic habitat, your hair starts weakening. This leads to a quick growth of dandruff. Also, if you do not consider it as a dangerous thing, it will get severe in exponential terms but maybe at a slow pace. The second level of dandruff, i.e. growth of it is at a more serious level, with the first level being the initiation of dead scalp accumulation in the hair. At your second stage, i.e. thinning of the hair along with the slow development of dandruff, there is no escape allowed. You got to take proper treatment for dandruff prevention. It may demand you to change the food options, regular striving in the cleansing of the hair and maintain the hygiene, and also some of the tough treatments prescribed by a doctor. No food on Earth causes illnesses. It is all our health condition and the unrelated diet patterns that lead straight to the ailments. Then, where are the foods that cause dandruff? The answer is, there is no food that raises dandruff. The recipes which do not fit into our body conditions will only do not support your hair condition which also does not promote dandruff. It is just that we do not give enough time for what actually promotes the health of our hair. There are some foods that enhance the hair condition with great healing effect from scalp death and inflammations. Knowing the list of those foods will helps us quicken the dandruff treatment. Apart from this, there will be no food that can promote/cause dandruff. How do foods take responsibility? Our choice of foods is the main complaint here. Foods have nothing to with what causes dandruff. The way we make them and the exceeding level of intake of few unsupportive foods is one of the causes of dandruff. We cannot also blame foods here completely. They are only unsupportive to the weak hair but they never demote hair because of their nutritional characteristics. The way we prepare is the least supporting factor for dandruff causing foods. We, in fact, can find a cure with the help of the same list of foods that we assume to promote dandruff. It is possible if we make the recipes a different way so that they will fit in the scenario of the hair fall treatment/dandruff treatment. To enhance the dandruff treatment, we must start with a diet that avoids few types of foods, viz. processed, sugary, cheesy, dairy, fried, and junk foods. Feeling stressed in life will give you many side effects. This is mere a norm in the medical world. But what is it for dandruff? Is there a direct connection between the two? Yes, the nutrition provided to skin and hair are most significant in the body. Our skin gets the nourishment last in the list of organs. With poor nutrition, the body avoids sending nutrients to hair and skin, which is how the skin problems and hair disorders prevail in people. Hair doesn’t even ask for nourishment. It just gets what is there for it from the body. If you do not eat well and be well, hair gets damaged inevitably. 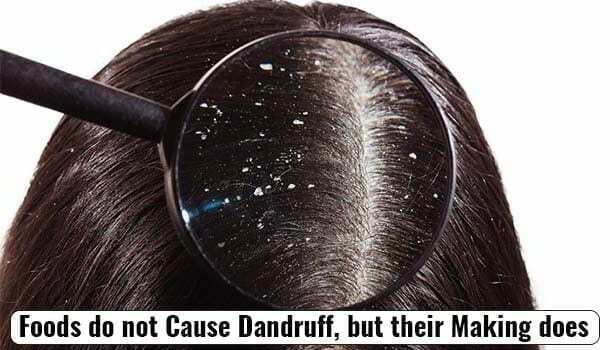 Therefore, the need for relieving stress has got some importance to avoid dandruff! Get rid of the factors that distress your life like smoking. It will enhance the treatment and improve the ability to cure dandruff from within the body. 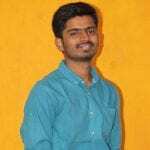 Shiva Kumar Nakka is an enthusiastic learner and a professional blogger who has been dedicating his writings to health websites since 3 years. He holds an authorized certificate from Stanford University in the field of Food and Health. His curiosity to explore about food and health compelled him to participate in various nutrition campaigns and interact with dieticians and community nutritionists which enabled him to enhance his ideologies and expand his knowledge. Writing apart, Shiva is an ardent lover of movies and appreciates filming due to his ability to conceptualize ideas and his precise attention to detail.